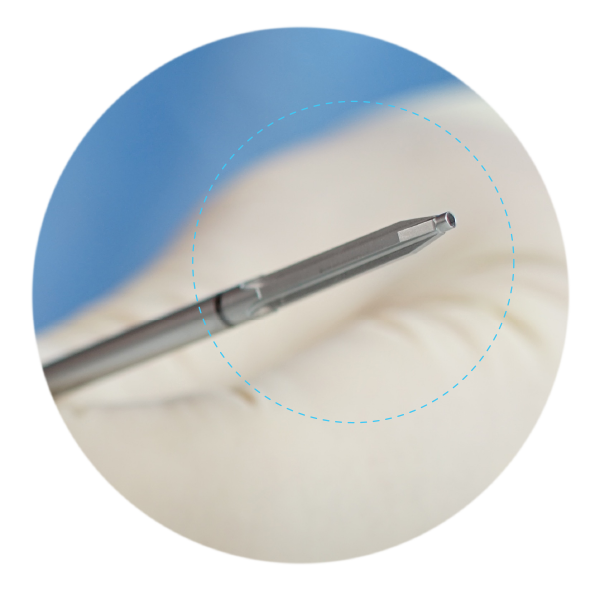 The TIGHTFix™ vPEEK Interference Screws are a new generation of bone-patella tendon-bone and soft-tissue graft fixation. With an advanced barrel and thread design we’ve improved bone-to-graft surface contact. The Insertion Driver tip runs the length of the screw providing axial support. 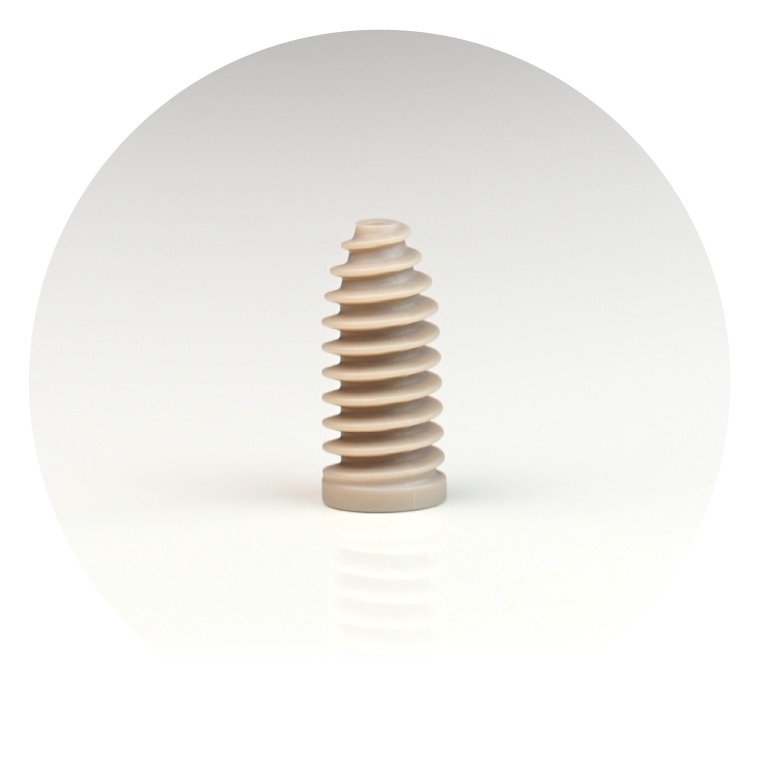 The screws are made with Vestakeep® PEEK, a high strength, bio-inert polymer that exhibits superior modulus and high ductility. The combination of the structural support designed into the driver/screw interface and Vestakeep® that resists fracturing results in greater torsional strength and a stiffer repair. 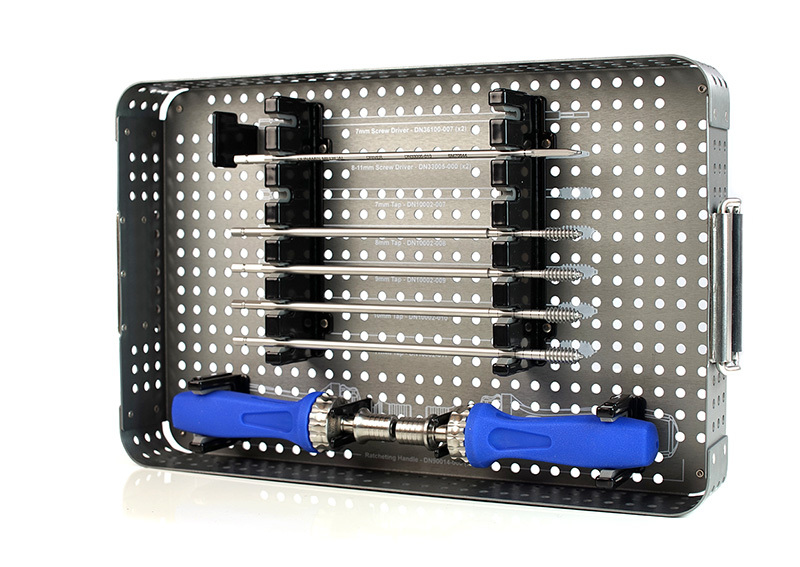 Also, the TIGHTFix™ ACL-PCL Instrument Set includes a separate tray of taps offering the surgeon intraoperative flexibility. Make the switch to better design. Experience the TIGHTFix™ vPEEK Interference Screw System. 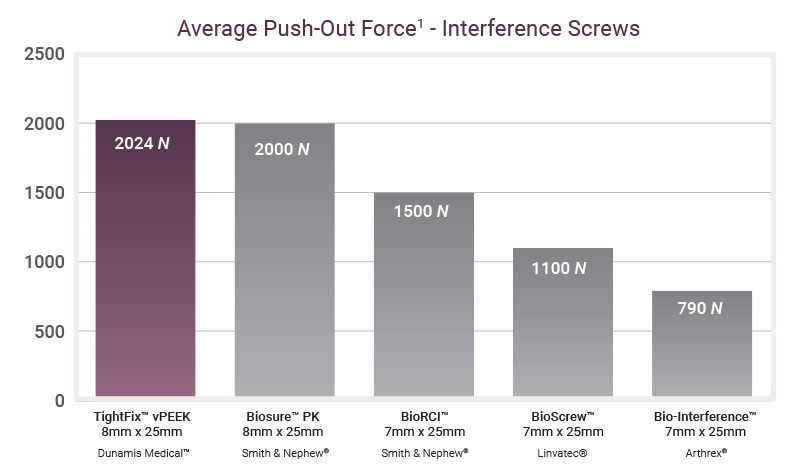 TIGHTFix™ vPEEK Interference Screws offer the surgeon an advanced barrel and thread design that improves bone purchase, and balances stress distribution evenly for greater torsional strength. BioScrew is a registered trademark of Linvatec®.